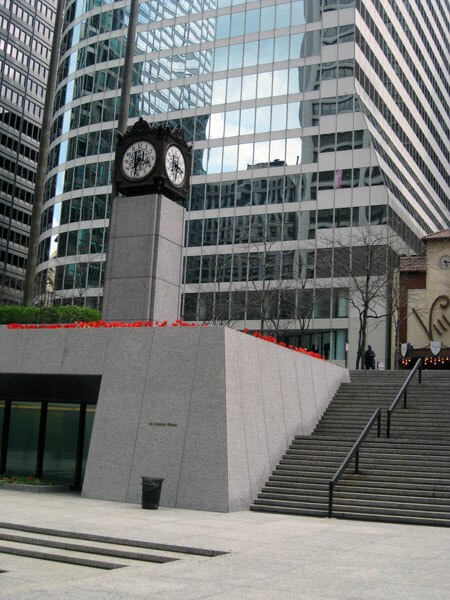 The downtown city block bounded by Clark, Dearborn, Madison, and Monroe Streets comprises the Chase Tower and its forecourt. 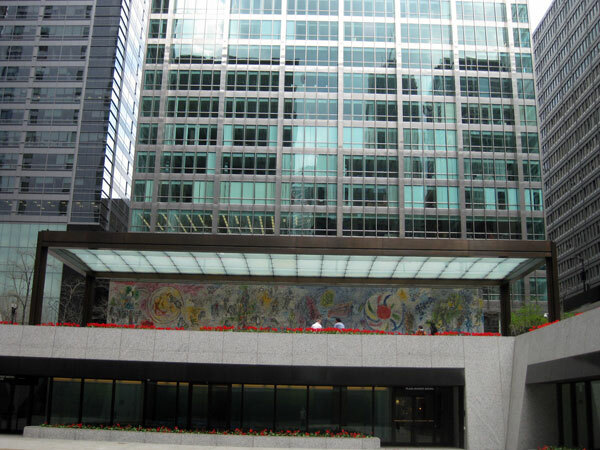 The forecourt, now known primarily as Exelon Plaza, was once called the First National Plaza and is often referred to as the Chase Tower Plaza, in reference to the 60-story skyscraper designed by C. F. Murphy Associates with Perkins and Will Associates in 1969. 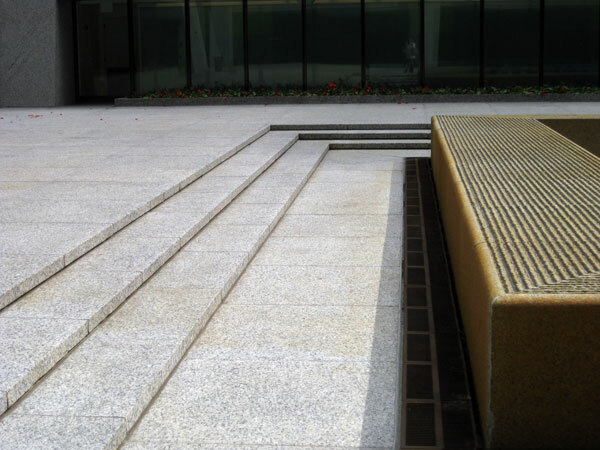 The plaza, completed in 1972, is paved in light gray granite and has two levels, the lower one below street-grade and accessible by wide stairs. 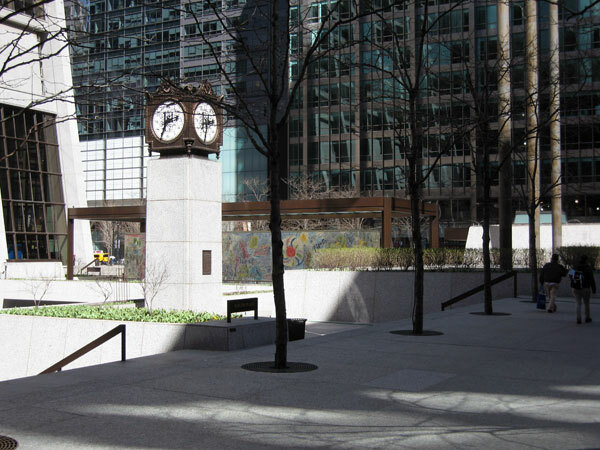 The street level plaza has numerous raised planters with shrubs and flowering trees and several large deciduous trees. 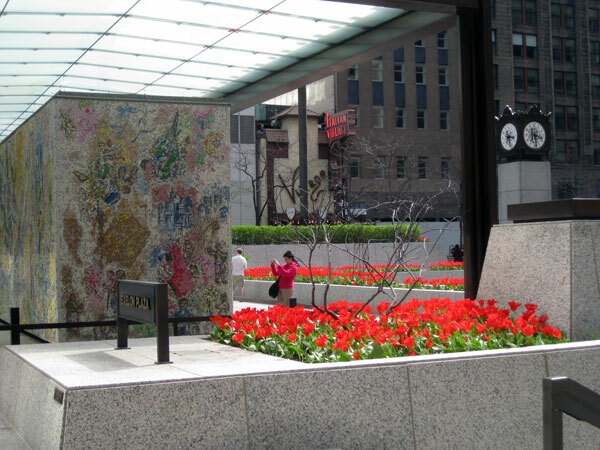 The space also incorporates public art, including a bronze clock on a stone plinth dedicated to Chase employees in 1979 and Marc Chagall’s Four Seasons, a 70-foot-long, free-standing ceramic wall mosaic. 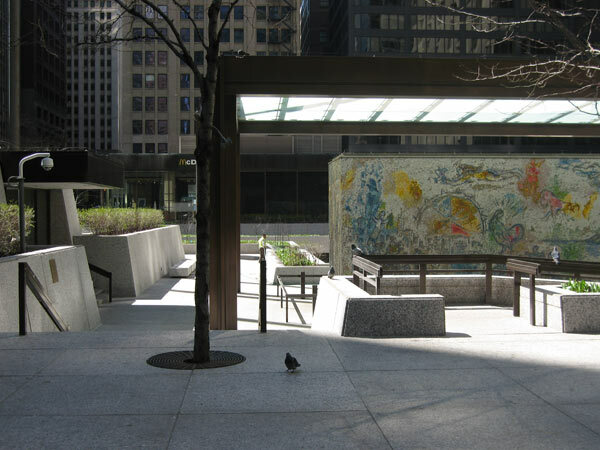 The mosaic, which depicts Chicago's four seasons, was assembled on site with colored glass and stone from Italy, France, Norway, Belgium, and Israel. 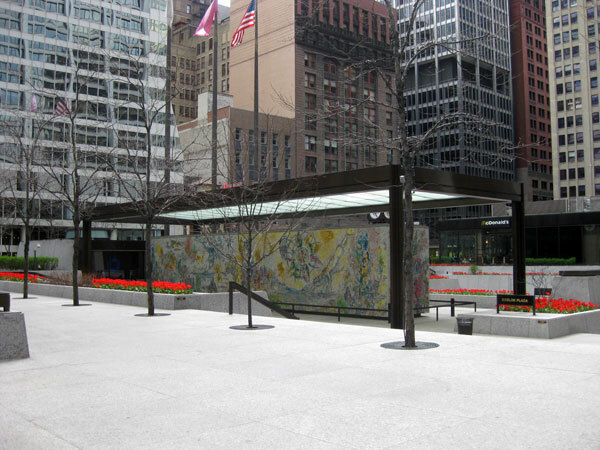 Chagall was present for the dedication in 1974, one month before Alexander Calder arrived in great state to dedicate his new steel sculpture at nearby Federal Plaza. 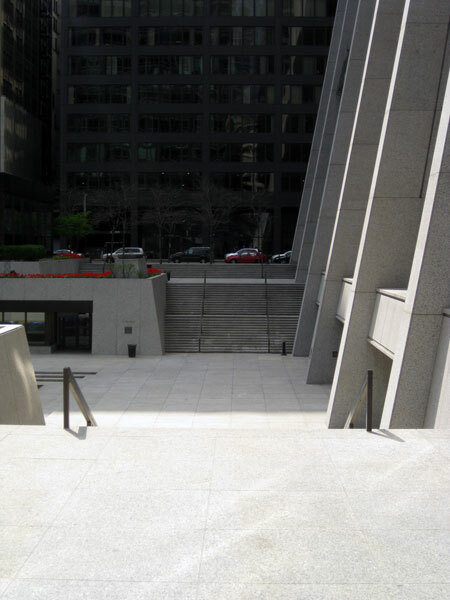 The lower level of the plaza is dominated by a large, rectangular jet fountain set within a shallow stepped basin. The plaza operates as a popular downtown gathering space.